Sheryl E. Koomer concentrates her practice in family law and appellate practice, and is certified as a matrimonial attorney by the Supreme Court of New Jersey. She was law clerk to the Honorable Richard S. Rebeck in the Superior Court of New Jersey, Chancery Division, Family Part, in 1988-89. 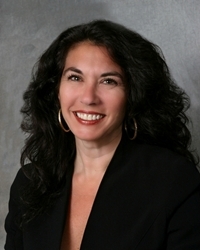 Ms. Koomer is a member of the Bars of New Jersey and the United States District Court for the District of New Jersey. She is a longstanding panelist for the Union County Early Settlement Program. Ms. Koomer has been selected for inclusion in New Jersey Super Lawyers for 2019. Phi Alpha Delta (Secretary, 1985-1988). Law Clerk to the Hon. Richard S. Rebeck, J.S.C., Superior Court of New Jersey, 1988-1989. Certified by the Supreme Court of New Jersey as a Matrimonial Attorney.